Learn the basics of C++ with emphasis towards game development. Create short C++ programs that highlight game-play of Fortnite. While we are playing Fortnite we will identify segments and moments of the game that highlight the concepts we have learned in C++ . We will look for loops, conditional-statements, game-play options, variables, sub-programs and more. First part of each day students will learn the different phases of the C++ programming language while the second part will be structured and intermittent game play. 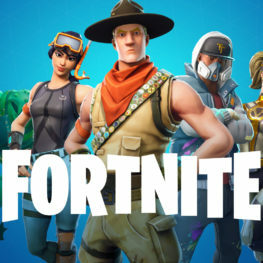 Fortnite is a slightly violent game, we would like to advise parents to only sign up for this camp if you allow your child to play a Teen rated game. We recommend it to above 10-year-old students, but allow above 8-year-old students with parents permission.